Work in Deerlodge National Forest! The U.S. Forest Service is seeking qualified applicants to fill temporary, full-time positions for the 2018 summer season on National Forests in Montana. Available jobs include firefighting, recreation, customer service, engineering, and several scientific fields. Beaverhead-Deerlodge National Forest locations include Dillon, Butte, Ennis, Philipsburg, Wisdom, Whitehall, and Wise River. There will be two opportunities to apply for summer jobs, all online through www.usajobs.gov. The first opportunity will be for fire and recreation positions. All these jobs will likely be listed as Forestry Aid or Forestry Technician, but will include a variety of different positions. Firefighting opportunities include entry-level firefighter, fire engine operator, handcrew member, and helitack crewmember. Recreation jobs will include general recreation, trails, and wilderness trails. Positions for all these jobs will be advertised on USAJobs January 3 to 9. The second opportunity includes a variety of different fields, including forestry, range, archaeology, botany, fisheries, wildlife, hydrology, engineering, equipment operations, and customer service. Positions for all these jobs will be advertised on USAJobs January 31 to February 6. The Forest Service recommends preparing your online job application early, by registering an account in USAJobs, creating an online resume, and uploading copies of school transcripts and other relevant information. More information is available on the Beaverhead-Deerlodge National Forest website at www.fs.usda.gov/main/bdnf. Look for the Employment Information link on the right. There you will find Outreach Notices with more details on all the available opportunities, including local contacts for each position at each duty location. The start date, length of season and number of positions hired will depend upon budget and individual unit needs. None of the positions will exceed six months in length. Seasonal housing may be available in some locations. 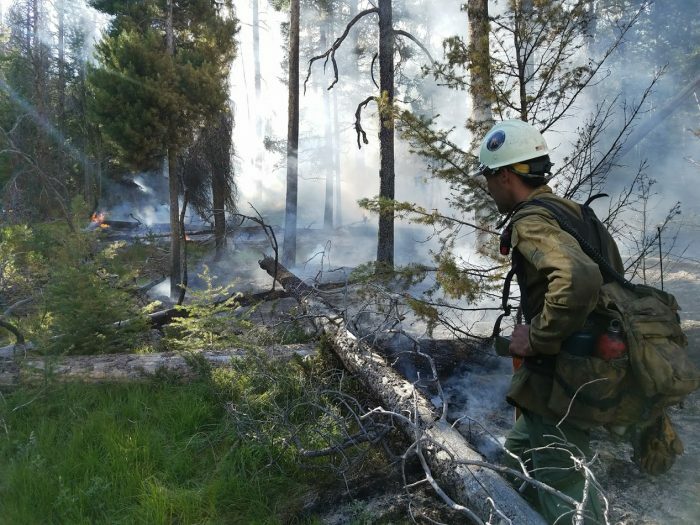 For more information contact the Beaverhead-Deerlodge National Forest office in Dillon at (406) 683-3900, or any of the District offices in Dillon, Butte, Ennis, Philipsburg, or Wisdom.